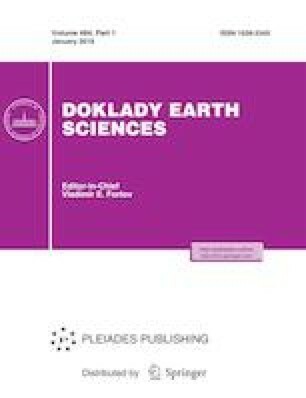 The discovery of relics of glaucophane schist in high-pressure tectonites of the suture zone of Yenisei Ridge has provided evidence for a Cordillera-type convergent boundary controlled by subduction of the oceanic crust beneath the continental margin on the western side of the Siberian Craton. According to the microtextural patterns of rocks and the results of geothermobarometry, two stages of metamorphism were distinguished. The formation of high-pressure tectonites indicates the early stage in the evolution of the Paleoasian Ocean and the final stage in the Neoproterozoic history of the Yenisei Ridge including completion of the accretion–subduction processes on the western margin of the Siberian Craton. This study was supported within a state task (project no. 0330-2016-004) and supported by the Russian Foundation for Basic Research (project no. 18-05-00152).